A quick video of our final program is below, and at the bottom of the page is a video explanation of the program. In addition, I've created a couple backdrops for my game. You can't interact with the backdrops, but I think it is more interesting to have a backdrop than just have a solid color. The backdrop was created using the Tiled Map Editor and Kenney's Buildings sprite sheet. This is the backdrop for Level 2. Finally, the code! This code builds off the other platformer examples on this website. I've divided the code up into several files to make it easier to navigate. The first file just has some variables that represent constant values. It makes the code easier to read by using variables like WHITE and allows me to change the screen size easily. This class pulls smaller images out of the large sprite sheet. Create an instance of the class and pass in the file name as a parameter to the constructor. Then call getImage with the x, y location of the upper left corner of yorur sprite along with its height and width. You can use a drawing program to get the location of the sprite images you are intersted in. This module is used to pull individual sprites from sprite sheets.
""" Class used to grab images out of a sprite sheet. """ """ Constructor. Pass in the file name of the sprite sheet. """ # Load the sprite sheet. and the width and height of the sprite. """ This next file defines platforms we can jump on or run into. At the beginning of the file we create lists for each image we want to use. The lists contain the x, y location of the sprite, along with the width and height. Next is the Platform class that defines a non-moving platform. There isn't much to it. The class passes along the image x, y, width, and height and uses the SpriteSheet class to grab the image. 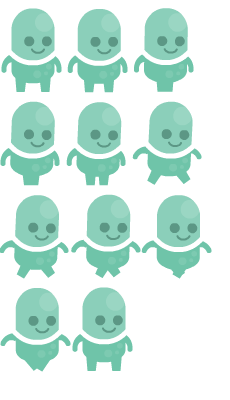 If you want moving sprites, the next class MovingPlatform adds functionality to its parent class Platform. The class keeps track of its boundaries that it stays in, along with the velocity. The update is complex because a moving platform can 'bump' the user and move him/her. It also needs to keep track of how far the world has scrolled to the left or right.
""" This is a fancier platform that can actually move. """ or add code to handle what happens if they don't. """ # assume he/she won't hit anything else. 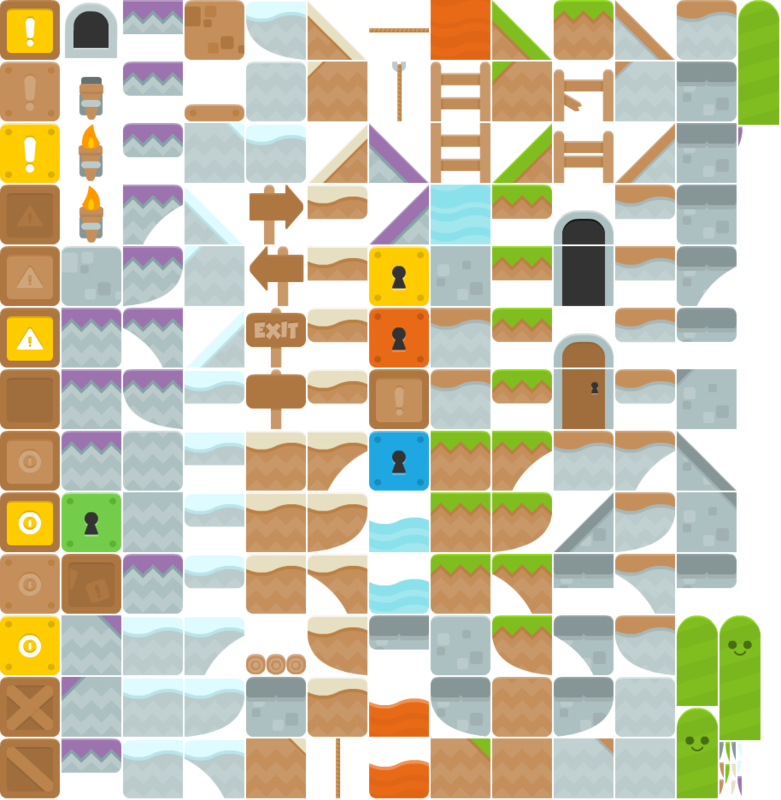 This file defines each level in the game. There is a parent Level class that all levels should inherit from. Things that all levels have (like a list of platforms) are defined in this parent Level class. After that there is a class for each level. # lists as needed for your game. # to give a feeling of depth.
""" When the user moves left/right and we need to scroll everything: """
# Array with type of platform, and x, y location of the platform.
""" Definition for level 2. """ The player class. This class could be simple, but we will make this player have an animation as he/she moves left and right. controlled sprite on the screen. # What direction is the player facing? # Set a reference to the image rect. # when working with a platform moving down. Main module for platform scroller example.